The desire of every woman is groomed and beautiful feet. 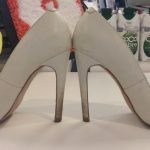 The dry, cracked and hard heels create many inconveniences. But did you know that ordinary soda, is beneficial to the skin on your feet, has antiseptic properties and reduces water hardness. It is a very effective, but a cheap tool. You can achieve the effect of gentle and smooth feet,with its help, without beauty salons and expensive pedicures. 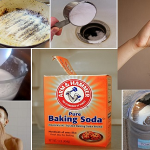 How to clean your feet with baking soda? 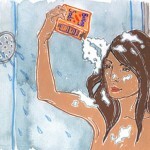 For this procedure you will need 4-5 liters of water and 3 tablespoons of baking soda. In hot water, dissolve the baking soda and soak your feet in it for approximately 15-20 minutes. Give your feet a good rub after that, with a foot scrubber. 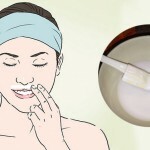 Then rub Vaseline or a nutrient cream, put on cotton socks and wear them for at least a couple of hours. After the first use, you’ll notice the difference in the appearance of the foot. Do this treatment continuously for 5-7 days. Then take a 7 daybreak, and repeat the procedure. 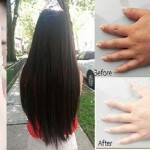 Do a total of 3 treatments. The desired effect silky and smooth feet will be achieved after the course of 3 treatments. Stay beautiful and feel beautiful!